On Thursday morning, Justin Williams, a patrol member with the Turtle Island Restoration Network, was walking on the shores of Surfside, Texas, when he noticed something lying still right at the ocean’s edge. 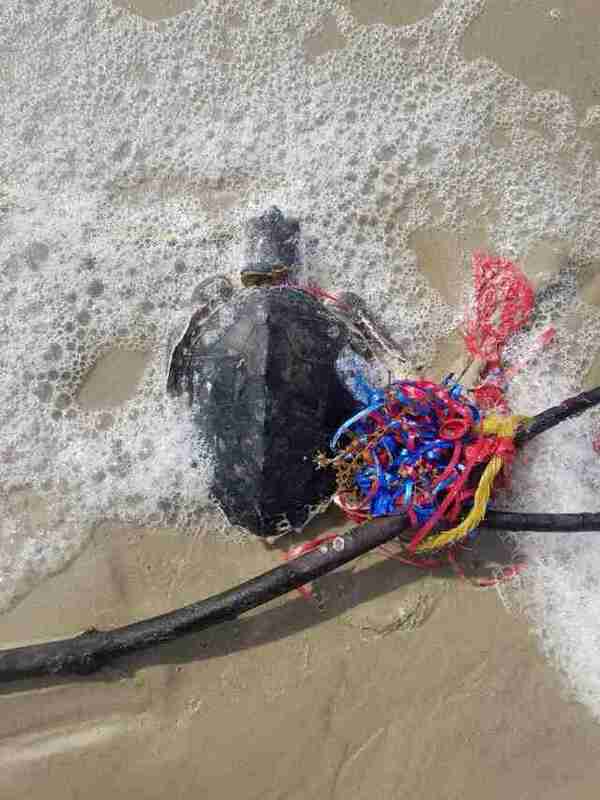 Williams moved closer, and realized it was a young Kemp’s ridley sea turtle — with a thick clump of tangled balloon strings wrapped around her neck. A deflated red balloon was still attached. 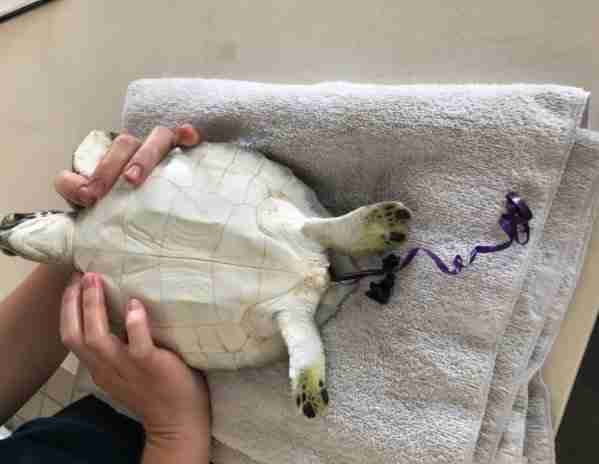 Williams jumped into action to cut the strings and rushed the exhausted animal to a local turtle rescue center. She’s expected to survive, but will always bear the ring of scars on her neck that had formed after being tangled for what was likely years. Unfortunately, this turtle is just one of many animals to fall victim to this unique type of litter. Commonly released into the air during celebrations, balloons and their fragments are making their ways into oceans — and hurting or killing marine animals in the process. A recent report from Ocean Conservancy has ranked balloons as one of the top three deadliest forms of litter, only behind discarded fishing nets and plastic bags. That’s because when balloons burst, the fragments can look very similar to jellyfish or other prey that animals like sea turtles eat. The ribbons can also become wrapped around animals as they swim in the water, which may hinder their ability to move or eat freely. 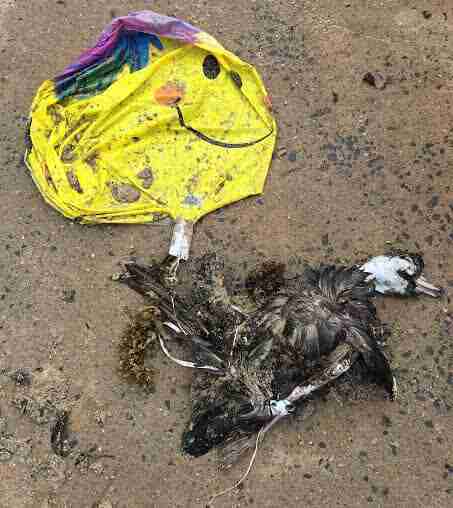 Even if balloons are released far away from oceans or waterways, they often still end up there, Mallos said. 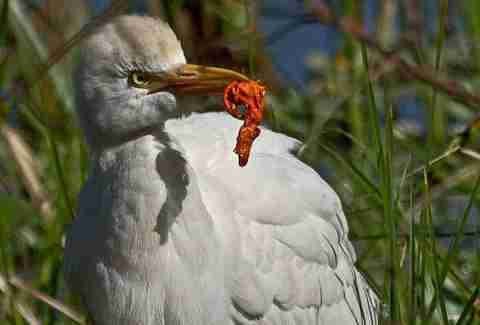 They can also become tangled in trees, where they can entangle birds and other forest-dwelling animals. 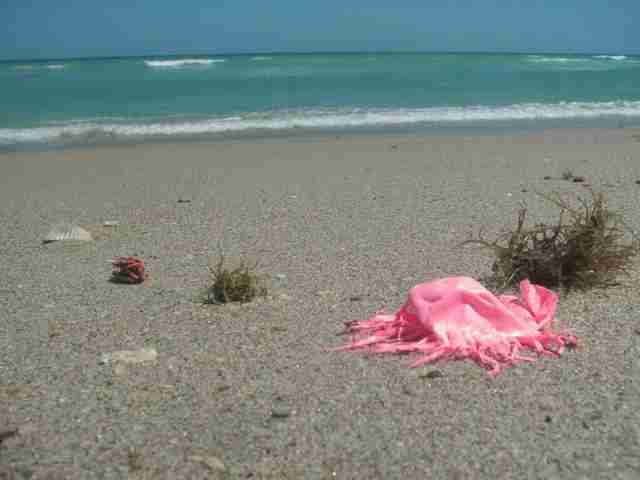 Danielle Vosburgh, founder of South Florida-based nonprofit Balloons Blow, has advocated against balloon releases for years due to the risks they pose to wildlife. She often mediates with companies across the country who have planned balloon releases to help them find other alternatives. She has also spent the past 20 years cleaning garbage from the shores in Jensen Beach, Florida. 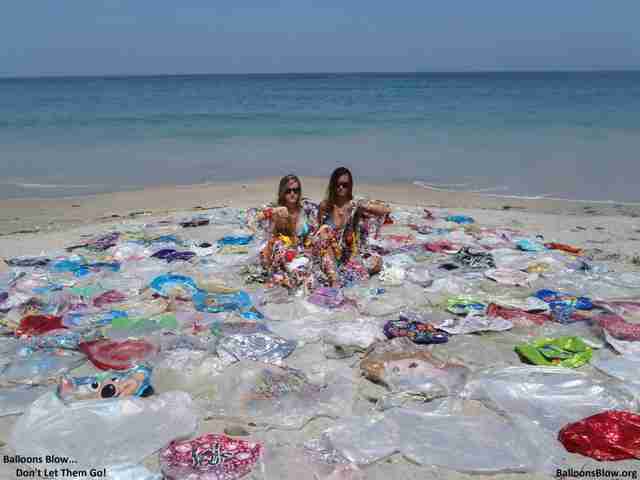 In 2013 alone, she collected over 1,500 latex and mylar balloons that had washed up. To test how long a discarded balloon can remain in an environment once it deflates, Vosburgh tied one up to a tree near her home over six years ago. Despite the Florida heat and intense tropical storms, the balloon is still intact today. 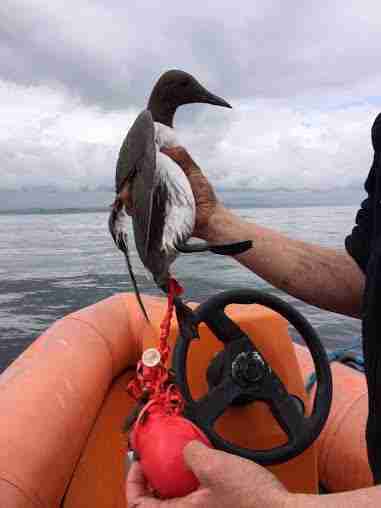 Unfortunately, it’s not just private residents responsible for balloon releases. Clemson University, in South Carolina, for example, releases hundreds of latex balloons into the air at the start of each home football game. However, some towns across the U.S. have already recognized the long-lasting impacts balloons have on animals and the environment, and have banned the sale and release of balloons altogether. Luckily, Vosburgh has noticed that more and more people are becoming educated about the long-lasting effects of balloons — which can only mean good things for the animals. Like Vosburgh, Mallos suggests looking into eco-friendly, reusable alternatives to phase out the use of balloons altogether, like streamers or banners. To help keep animals safe from balloons and other dangerous trash, you can make a donation to Ocean Conservancy and Balloons Blow. You can also pledge to educate others about the long-lasting impacts on animals and the environment.